Peak Dale Bed and Breakfasts. Compare latest rates and Live availability for all your favourite places and places you have always wanted to go using our new My Shortlist feature. Click + to add to your Shortlist. Bed and Breakfasts in Peak Dale, Derbyshire for 1 night from Fri Apr 19, 2019 to Sat Apr 20, 2019 within 10 miles, in an Average Nightly price range of £1 to £200. 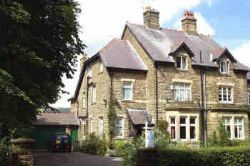 Rockingham Lodge provides high quality Bed and Breakfast accommodation within the charming village of Tideswell. Situated in the heart of the England s famous Peak District National Park Tideswell is a popular place of stay for walkers cyclists rock climbers and others who wish to enjoy the Park s beautiful scenery and many local attractions. br / br / br / br / The B & B accommodation comprises of one double bedroom with shower en-suite one twin bedroom with shower en-suite and one twin bedroom with a separate private bathroom comprising WC bath and shower. All rooms have flat-screen TVs as well as tea and coffee making facilities. br / br / br / br / There is also a comfortable guest lounge with a wood burning fire colour television and DVD player. br / br / br / br / Full English or continental style breakfast is included in the price and weather permitting can be enjoyed in a secluded courtyard leading from the breakfast room. A hearty packed lunch can be provided if ordered in advance. br / br / br / br / The village has several Pubs serving evening meals within easy walking distance. The village also has a tea room a bakers a butchers a post office a general store and two fish and chips shops all of which are within a two minute walk from Rockingham Lodge. Book Christmas Week: Sat 22nd Dec - Sat 29th Dec OR br / br / Book New Year Week: Sat 29th Dec - Sat 5th Jan br / br / br / br / Luxury Holiday Home br / br / Property Name: Castle House br / br / Property Type: Guest House / Converted Coach House br / br / Number of bedrooms: 2 - 1 Super King 1 Double br / br / Maximum number of Guests: 4 guests br / br / br / br / Description: br / br / A fantastic unique property (The old Coach House to Castle Manor) in the Capital of the Peak set in large private gardens with beautiful views of Castle Naze Eccles Pike and Combs Moss. br / br / br / br / A superb location for the local golf course and public transport. (The train and bus route from Buxton to Manchester is on the door step and the Manchester to Sheffield line is only 1 mile away. br / br / br / br / The property is extremely private and secure with a long drive and electric gates. It has just been completed to an extremely high standard to include things like full home automation (Lighting Blinds and music can be controlled by a single hand held unit) a 65 3D Television jacuzzi steam bath full underfloor heating and a state of the art kitchen with integrated coffee making facilities. br / br / br / br / With a bedroom and the bathroom on the ground floor its perfect for the elderly or anybody with disabilities and wheelchair access. br / br / br / br / 4 poster super king-size heated water-bed br / br / br / br / Sky T.V (With all the movies and Sports) br / br / br / br / Unlimited WiFi. br / br / br / br / Great location for Buxton Festival and other music and comedy festivals and events throughout the year. br / br / br / br / Easy access to other Derbyshire Cheshire and Staffordshire villages and attractions including Chatsworth House Matlock Bakewell Castleton and Alton Towers. Welcome to Causeway B&B. Comfortable accommodation with all the conveniences of the 21st century in a 15th century cruck cottage with original oak timbers. Whether you re staying for a single night or a whole week owner Phil Oakley will make sure your stay is a comfortable and relaxing experience. br / br / br / br / I have four bedrooms two en-suites and two with shared facilities. br / br / br / br / The four-poster room and the double room is a perfect place to relax. Each room has an hospitaility tray a colour TV and hair-dryer. A prepared Accessibility Statement is available for your information. br / br / br / br / PLEASE NOTE.. I no longer take Pets. br / br / br / br / The nearest train station is Hope Station Derbyshire. Castleton does not have a train station. br / br / br / br / Collection from Hope Station Derbyshire can be arranged in advance of check -in dates directly with The guest house. Enjoy stunning views from the conservatory as well as a warm friendly welcome. The spa town of Buxton is in the heart of the Peak District one of Britain s most beautiful national parks. Famed for the healthy properties of its mineral water the area offers stunning scenery with dramatic cliffs waterfalls and caves. The hotel is renowned locally and nationally for its standards of customer service cuisine and accommodation. The beautiful Victorian architecture is matched by richly decorated rooms and the hotel successfully combines traditional heritage with state-of-the-art facilities. It is the perfect base to visit the Peak District whatever the nature of your stay. All 122 bedrooms including 4 suites are very well furnished and equipped to the standard you would expect from a 4 star hotel. Most rooms have wonderful views over the town of Buxton and gardens. The hotel has excellent leisure facilities that include a 14-metre swimming pool. Perfect for relaxing or energising your stay. The Dovedale Restaurant offers excellent cuisine and fine wines in a relaxed and peaceful environment. Car parking available onsite �4.50 Per 24 Hour(s). The Queen s Head Hotel offers bed and breakfast in our newly built accommodation rooms and also in a converted stable block both situated at the rear of our premises. All twelve of our rooms have central heating en-suite bathrooms tea/coffee making facilities and Sky s in-room television service. Larger groups requiring accommodation are welcome but it s best to call with your requirements. br / br / br / br / Please note we offer car parking on a first come first served basis further parking is available on the Market Place. For longer stays we can offer a park and ride service from our other accommodation facility located in the town. br / br / br / br / The Hotel has been in our family for three generations spanning the last forty years. br / br / br / br / We look forward to meeting you and hope you enjoy your stay. Located in the picturesque village of Hathersage just 10 miles from Sheffield The George Hotel offers Free Wi-Fi and has an excellent 2AA rosette restaurant. Formerly a 500 year old inn this highly rated Derbyshire hotel in the heart of the Peak District has been transformed into a relaxing haven in which to unwind. Featuring contemporary d�cor and award winning cuisine by chef Helen Haywood the George retains its charm and character whilst offering every modern amenity. Early in 1997 the entire hotel was completely renovated whilst its original character was preserved by tasteful retaining of stone walls oak beams open fires and antique furniture. All bedrooms feature en suite private bathroom with shower Free Wi-Fi lounging area study desk computer points remote control television direct dial telephone clock radio trouser press and beverage facility. Superior rooms are generally larger rooms with robes minibars DVDs and extra toiletries. The George s Restaurant has recently undergone an extensive refurbishment bringing an up to date feel with cool colours wooden flooring and feature lighting. This more contemporary approach complements completely Chef Helen Haywood s approach to his cooking - modern in style using fresh ideas and only the freshest of ingredients presenting quality and flair. The restaurant has 2AA rosettes for quality. Please note: The restaurant is very busy therefore it is essential to pre-book your table by phoning the hotel directly to avoid disappointment. Room service is available during restaurant hours. The hotel is an ideal base for visiting stately homes in the vicinity i.e. Chatsworth Haddon Hall and Hardwick Hall. Walkers are spoilt for choice as the hotel is set in beautiful countryside. An additional 5% service levy will be charged on all goods and services supplied during your stay for distribution directly to staff. Staden Grange is a family run business. A brilliant base for exploring Buxton and Derbyshire we offer a friendly welcome to our magnificent home. Set in six acres of farm woodland and gardens with Peak District views to all sides we are in the countryside yet just two miles from Buxton centre. Wander in the woods sit in peace in the gardens take a stroll through the fields or enjoy a drink from our bar. In the house we have a large comfy lounge a spacious dining room and a quiet reading room. With plenty of space and cosy corners there s something to suit everyone. All of our bedrooms are en-suite each one uniquely and thoughtfully decorated to a high standard with a choice of single double and king sized beds. A Warm & Friendly Welcome awaits you at The Roebuck Inn... br / br / br / br / Overlooking the historic cobbled market place complete with stocks and an ancient market cross The Roebuck is a 17th century inn offering a selection of cask ales and an ever increasing Gin range. br / br / br / br / Chapel-en-le-frith is a market town located 10 minutes from Buxton. It is ideally located for those visiting the Peak District with its breathtaking landscapes bustling market towns and fascinating cultural and historical heritage. Known as the Capital of the Peaks Chapel-en-le-frith derives its name from the church that was built here by foresters from the royal forest in 1225 frith being a local word for forest. br / br / br / br / Situated in the heart of Chapel-en-le-frith The Roebuck actually dates back to the 13th century when it was a family house for the Duely family. Rebuilt in 1700 by Ino Shallcross it became a beer house in 1720 know then as the New Hall. In 1750 the building became a local court house and by 1850 had returned to a beer house. In 1870 it was renamed The Roebuck. br / br / br / br / The Roebuck overlooks the market place with its ancient market cross old town stocks war memorial and horse trough placed here to celebrate Queen Victoria s Diamond Jubilee in 1897. It is also home to the St Thomas a Becket church which rings its bells every year on Shrove Tuesday to remind the women of Chapel to make their batter!